In Berlin in 2015, I tasted thirty or so rums at the RumFest. But I only bought one. This one. Why did I get this rum? Well, occasionally I get bored with rums that seem to go noplace special, don’t venture beyond their own self prescribed limits. I like originality, the whiff of something new. And so I go far afield and back in time, sniffing out old rums — a 30+ year old Demerara, maybe), different ones (clairins anyone?) and those from varied locations like, oh, Madagascar. I’m still looking for Swaziland; was enthralled to know that Ocean’s picked up some rum from Africa for their Indian edition, had to go after Fiji rums when I found them. Indonesia was definitely a cut above the ordinary. So there was that. Also, when I first reviewed Compagnie des Indes’s Cuban fifteen year old rum a few months ago, I remarked that if they continued making rums like that one, they would be one of the craft makers whose entire line I wanted to try. 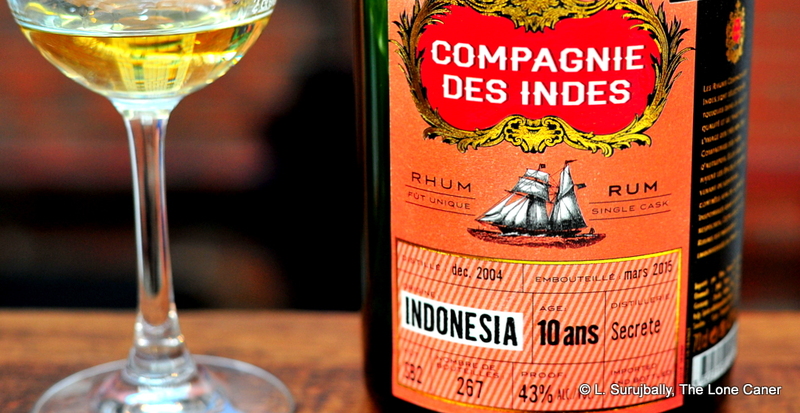 When Florent Beuchet (the founder of Compagnie des Indes) showed me the green bottle, both my interests intersected and came into play at once – my desire to try a rum made in a country from where I had not seen anything before, and my wanting to try more of the Compagnie’s work. 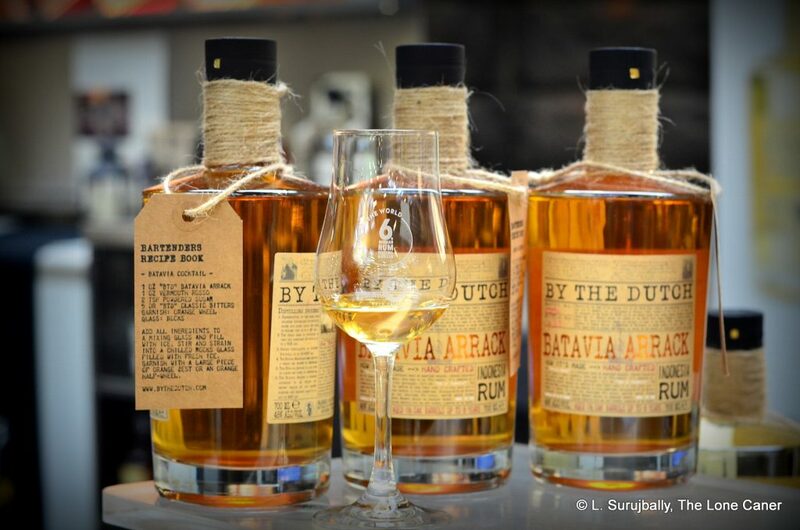 Some background: sugar cane has long been thought to originate in the far east, and the first alcohols made with it supposedly derive from Indonesia itself, so this was what Florent was saying when he told me that it was a variation of rum’s grandfather, Batavia arrack. The fermentation began with yeast of white rice (strange, but I’ve heard weirder things). Five casks produced this 267 bottle outturn and it came from an unnamed, undisclosed distillery – I tried to get Florent drunk enough so he would tell me but no dice. It was aged for three years in Indonesia, and another seven in Europe. Arrack, like clairin, is not usually aged. Florent told me it was a sugar cane distillate from a column still, and untampered-with. Smelling it was like wallowing in a spring meadow. A great balance of softness and sharpness started things off; delicate flowery notes were immediately evident, with vegetal and citrus scents coming right behind. It didn’t have the dusky heaviness of fleshy fruits, just lighter ones…an Indian mango, half ripe, lebanese grapes (love those). It even evinced some gentle brininess, green olives at the back end. but the overall impression was one of delicacy and a sort of easy-going unaggressive character (maybe it was Canadian). I liked the taste and mouthfeel a lot (which is why I had three samples of this thing as I badgered poor Florent about his company while trying three others at the same time). Conditioned as I was to somewhat more elemental Demerara and Jamaican rums, I found the graceful texture of well-tempered 43% with its firm and sprightly backbone quite intriguing. So, it was light, sweetish, delicate. The tastes of dill and green tea, and sugar cane juice fresh-pressed came out. It was a little herbal and grassy too (and there was a nice counterpoint of lemongrass winding through the whole thing) but these tastes didn’t overwhelm, just stayed well within the overall construction without trying to elbow anything else out of the way. The fade was a bit short, and quite aromatic, with some unripe peaches and new-mown lemongrass tidying things up. 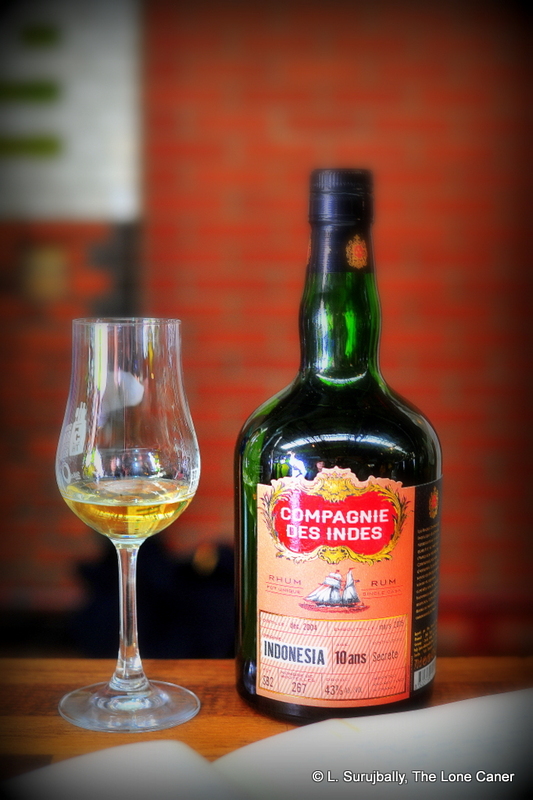 The Compagnie des Indies Indonesia 10 year old is no macho body builder of a drink, redolent of anise, power, sweat and dunder – it’s too tidy and well-behaved for that, and not strong enough. Still, if your tastes go in the direction this rum takes, it’s kinda brilliant in its own way. It’s a lovely, tasty, dancer of a rum – not the lead ballerina by any stretch…perhaps somebody in the second row who catches your eye and smiles at you. A rum which I think, after a few sips, you’ll remember with fondness for the rest of your life, and maybe hope that other makers make more of. Presentation is standardized across the line. Green bottle, old fashioned label, plastic tipped cork. Not much to find fault with here.